A woman almost caught the man she thinks sexually assaulted her 12-year-old daughter, and her actions could help police catch him. The man followed the girl into an elevator in the Brooks Drive building, investigators said. When she got off the elevator, the man forced her to the ground and sexually assaulted her, then ran from the scene. 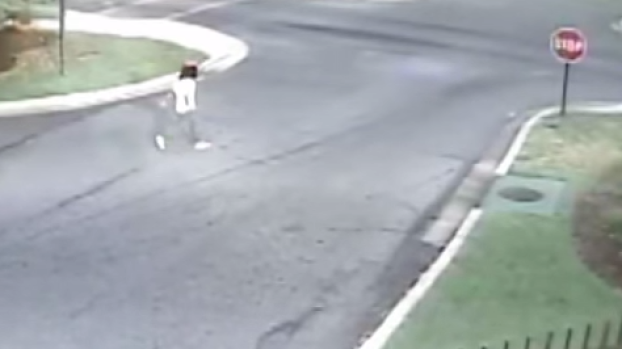 The girl's mother saw the suspect and knocked him down Friday afternoon, but he got away, Prince George’s County Police said. Officers responded quickly with K9 and a Park Police helicopter but did not find him. The man is African-American, between 18 and 23 years old and about 5-feet-2-inches to 5-feet-6-inches tall. He wore his hair in shoulder-length dreadlocks. He has a tattoo of the word "blessed" on his neck, a tattoo of a star on both shoulders and another tattoo on his left forearm. If you recognize the man, call police at 301-772-4908.